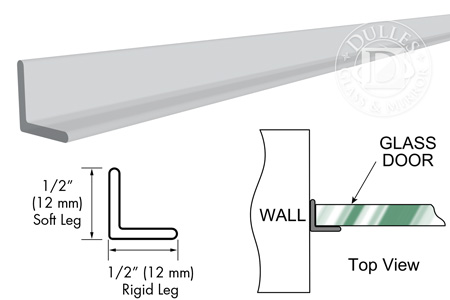 95" Clear Strike Angle Jamb with Clear Double Tape is a Multi-Purpose Polycarbonate Strike for 1/4" to 1/2" Glass. Recommended for use with Single Shower Door installations. Can be used for both hinge and strike jambs. Comes with double sided tape for easy adhesion to the wall of a fixed panel glass door. It is commonly used as a jamb for shower installations to achieve a sleek look. Comes in ample amount of 95 Inches.